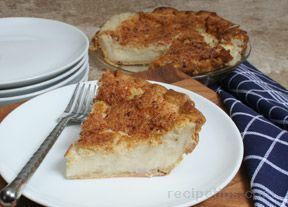 This rich and creamy pie originates from Indiana and is also known as a Hoosier Pie. Place prepared pie crust into an 8 or 9 inch pie plate. Mold it to the bottom of the plate and crimp the edges. In a mixing bowl, combine the sugar, flour, vanilla and cream. Mix until smooth. Pour into the unbaked pie crust. Place the pie plate onto a cookie sheet to catch any drippings and place in the preheated oven for 15 minutes. Reduce oven temperature to 350° F and continue baking for and additonal 45-50 minutes or until the center is just somewhat jiggly. 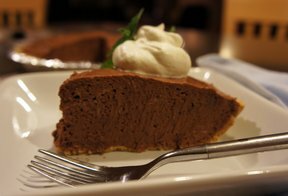 You may need to cover the pie loosely with aluminum foil if it begins to brown to much. Remove from the oven and allow to cool and then place in the refrigerator until ready to serve. 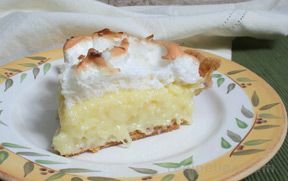 "I just saw the post by dena65560 and was disappointed that she didn't enjoy this pie. This is an old-fashioned pie recipe and I have made it several times. We have thoroughly enjoyed the sweet creamy flavor with the hint of nutmeg and cinnamon. I know everyone has different tastes but I hope others will give this recipe a try because everyone in our family has really enjoyed it." "Very bland!! Won't make again. Don't waste your sugar." "Okay, I just had this last night at Thanksgiving dinner, and omg it was sooooo good! I wasn't the one who made it, but the one who did told me she's made it 3 times now so far. She obviously likes it too, and others in her family! She did say that you definitely have to keep an eye on it. The first time she made it she said the crust got way too brown, almost burnt, but this one was PERFECT! :D I'll definitely be making it myself soon!"